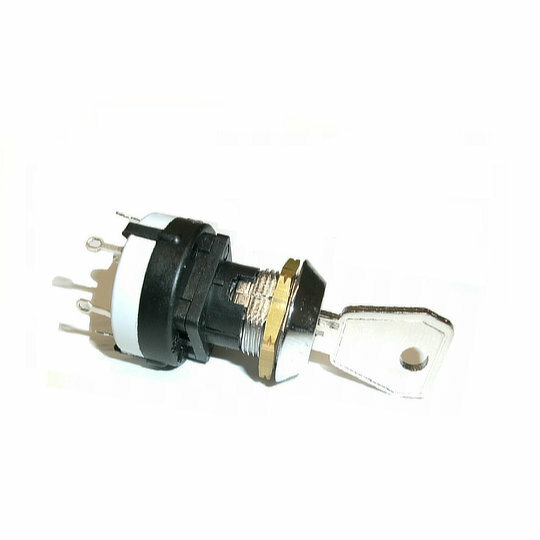 The CKIS series of key lock switches from Lorlin are single, double or 3 pole switches with 2 positions and momentary operation. Designed for cut outs of 19mm and to be used with flat key types with the key removable at position 1 only and activation of 2nd position at 90°. The DSIS series of key lock switches from Lorlin are double pole switches with 2 positions and momentary operation. Designed for cut outs of 19mm diameter with max panel thicknesses of 15mm the DSIS series uses dimpled 6 pin flat key types offering over 15,000 combinations and activation of 2nd position at 90°. The MIS series of key lock switches from Lorlin are double pole switches with 2 positions and momentary operation. 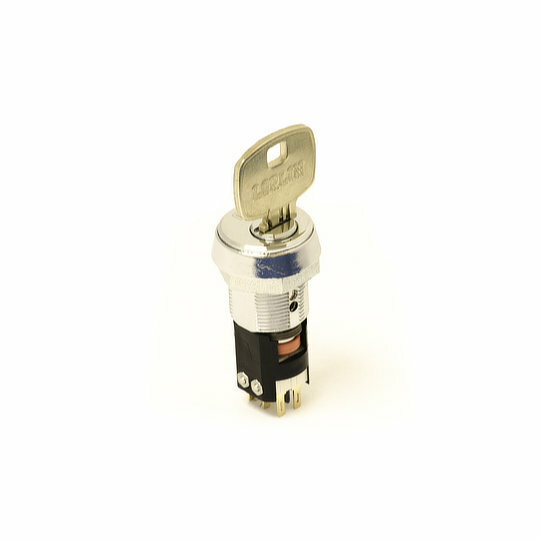 Designed for cut outs of 19mm diameter using flat key types offering 2000 key combinations with the key been removable in 1st and 2nd positions and the activation of the 2nd position at 90°. The RAIS series of key lock switches from Lorlin are double, 3, or 4 pole switches with 2 or 3 positions and momentary operation. 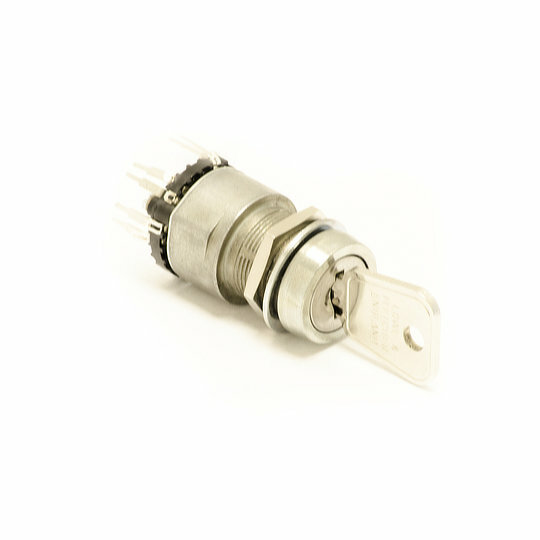 Designed for cut outs of 19mm diameter and using flat key types with the key been removable in the center position and activation of the 1st or 2nd position at 60° +/- from center position or on the 3 position models actuation is center position +60° for 1st position, -60° for 2nd position and -240° for 3rd position. 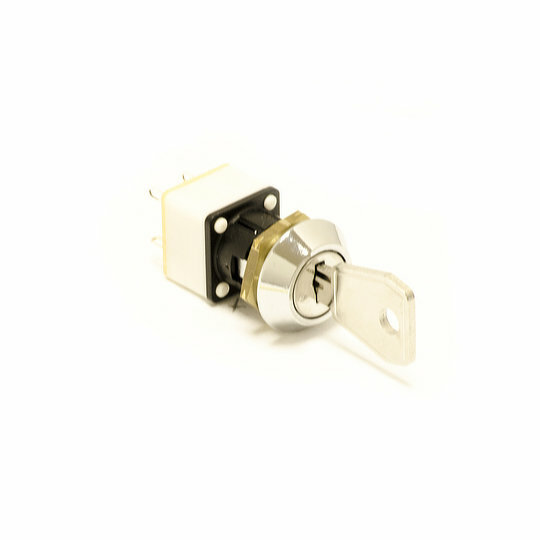 The RAL series of key lock switches from Lorlin are single, double, 3, or 4 pole switches with between 2 and 12 positions and maintained operation. Designed for cut outs of 19mm diameter and using flat key types, the key is removable at 60° and 90° angles and indexing at 30°, 45°, 60° and 90° depending on model. The RALM series of key lock switches from Lorlin are single double pole switches with between 2 and 12 positions and maintained operation. Designed for cut outs of 19mm diameter and using flat key types, the key is removable at 60° and 90° angles and indexing at 30°, 45°, 60° and 90° depending on model. 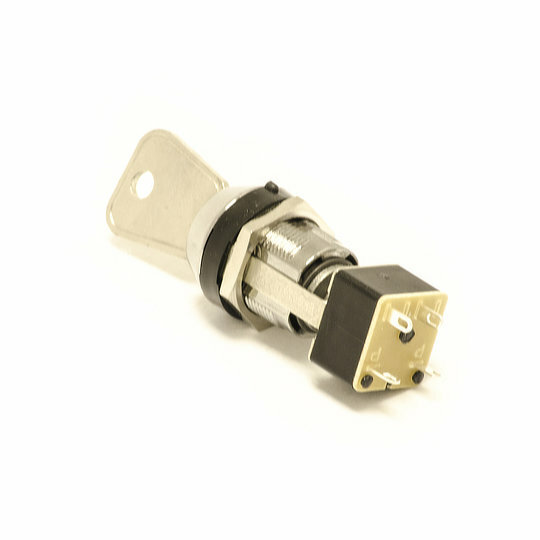 The SRL60 series of key lock switches from Lorlin are single, double, 3, or 4 pole switches with between 2 and 6 positions and maintained operation. Designed for cut outs of 16mm diameter and using flat key types with 200 different combinations, the key is removable in all positions with indexing at 60°. The SRL90 series of key lock switches from Lorlin are single or double pole switches with 2, 3 or 4 positions and maintained operation. 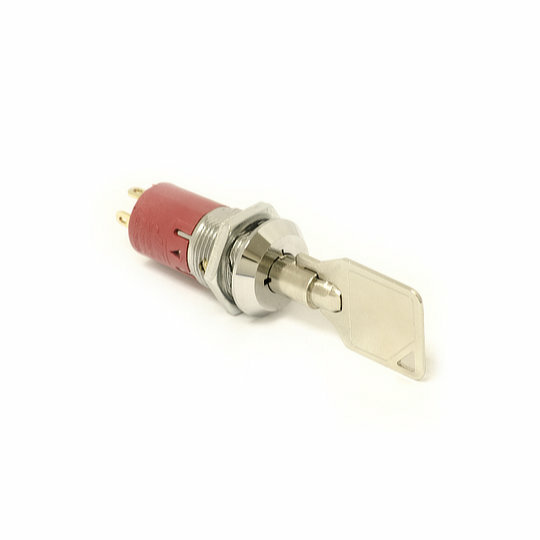 Designed for cut outs of 16mm diameter and using flat key types with 200 different combinations, the key is removable in all positions with indexing at 90°. The SRLM series of key lock switches from Lorlin are double pole switches with 2 positions and maintained operation. 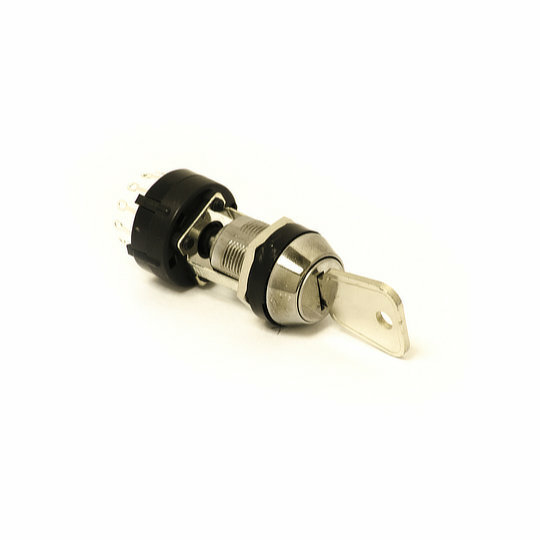 Designed for cut outs of 16mm diameter and using flat key types with 200 different combinations, the key is removable in both positions with indexing at 90°.